When I first saw this color combo, my first thought was, 'are you kidding?'. But I really like it! Like I said this card is made from scraps. I believe the large yellow polka dot paper is a Cosmo Cricket paper. 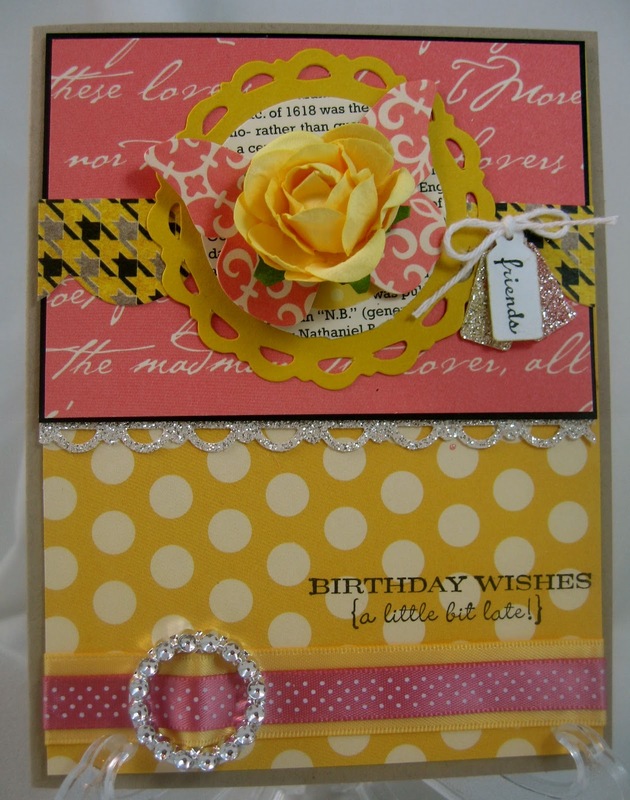 The pink script is from Sceinic Route, the hounds tooth pattern paper is from Authentique, the cream text paper is from Stampin' Up!, as well as the yellow small polka dot paper and the glitter paper. The pink flourish paper I have no idea. 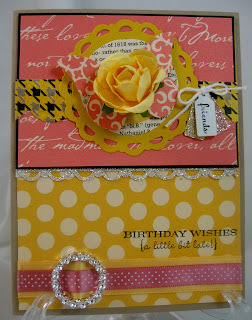 The yellow ribbon is from Stampin' Up! 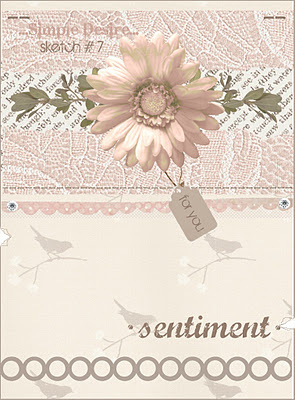 and the pink small polka dot ribbon is from Paper Trey Ink. The ribbon slide is from Paper Studio. The stamps (Birthday Wishes, and friends) are from Stampin' Up! So is the die to cut the cardstock scallop circle. The flower comes from Kaiser. The card base is Crumb Cake, from Stampin' Up!. Thank you for looking! and I hope this new year is off to a great start for you! Sharon!!! very nice to see you in our blog and to see you playing with us!!!! it's so cool that you could translate the page and could attach the picture of your creation!!!! thank you very much or your participation!!! 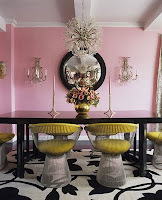 your card is lovely and the colours that could seem really strange are combined in a great way!!!!!!!!!! thanks again for being with us in this challenge!